For the past few years, I have been lucky enough to be a part of the TeenTech family, running workshops at TeenTech Events all over the country. At each TeenTech event, myself and Liz Rice from Tank Top TV work with 300+ teenagers a day, helping them to develop their ideas for apps, games, the Internet of Things, and future technology. The annual TeenTech Awards are designed for UK students aged 11-18, and are designed to enable students to take their interests in science and technology further. They encourage students to develop their own ideas, in groups of three, for making life better, simpler, safer or more fun. Participating schools are provided with a suggested structure and industry contacts allowing them to get mentoring from those working in the industry. Over the past few months, leading up to the Awards, I was privileged to mentor several teams. Due to my own work, I mostly worked with teams focussing on building apps, wearable technology or Internet of Things devices, and I also helped judge and provide feedback on the Digital Skills category. The amount of work, and enthusiasm these students put into their projects is phenomenal. The projects these students create, and the ideas they come up with, are on par with the work coming out of some of the biggest technology companies around the world. I saw projects that looked at new sources of renewable energies, wearable technology to improve health and well-being, social apps and networks that targets audiences not currently catered for, as well as teams looking at reducing poverty and looking at new sustainable food sources. We attended the TeenTech Awards at the Royal Society on June 20th and it was amazing getting a chance to meet the teams I’d been emailing and Skyping with over the past few months and seeing the enormous amount of work they had put into developing their projects further. A number of the teams I helped mentor had made it to the final. 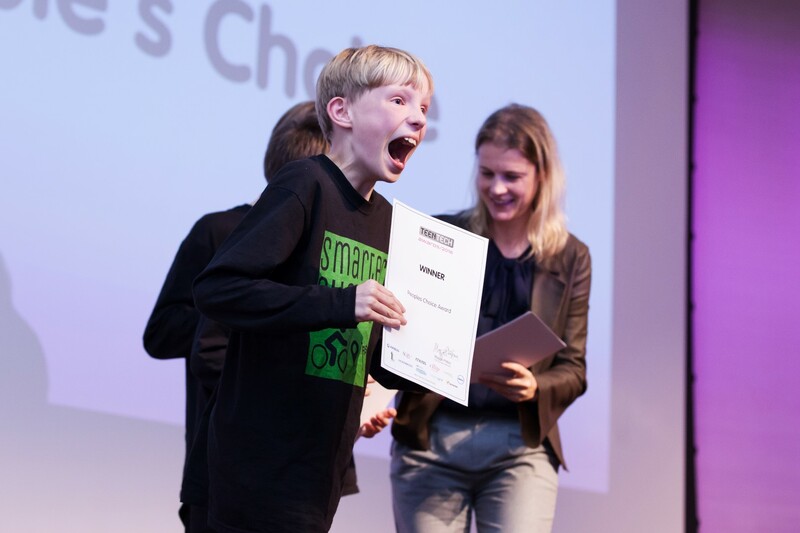 Peter, Jim and Eddie from Impington Village College picked up the People’s Choice Award for their “Let’s Get Biking” app, and it was well deserved – I don’t think I’ve ever met such an enthusiastic group of pupils in my life. Their idea was solid, and fun, and the amount of effort they’d put into research, and developing a working prototype was so impressive, and it was great to meet them in person. Their enthusiasm was contagious. It was such an amazing and inspirational day. You can see a full list of the winners over on the TeenTech site. Registration for the 2017 TeenTech Awards is now open over at http://awards.teentech.com and I’m really looking forward to mentoring more teams over the next year.